Did you know that Sticky Fig Catering cater for smaller private get together's in your home too? Last week we delivered our first private function in a clients home this year. A family gathering, celebrating a regular customers birthday. Our clients guests were greeted with a selection of canapes, including mini Yorkshires with rare beef and horseradish, chicken liver pate on bite sized crostinis and smocked haddock beignets. 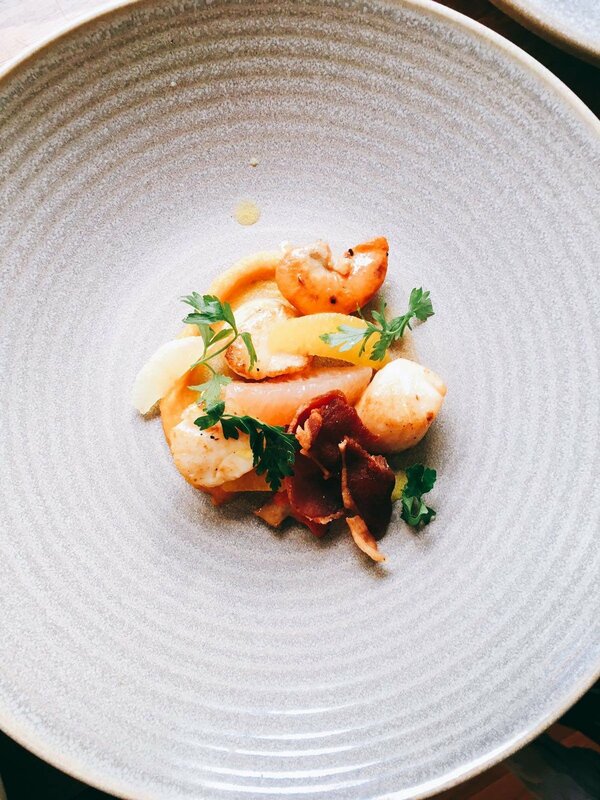 The meal started with a light scallop dish, served with a citrus salad, sweet potato puree and crispy Parma ham. 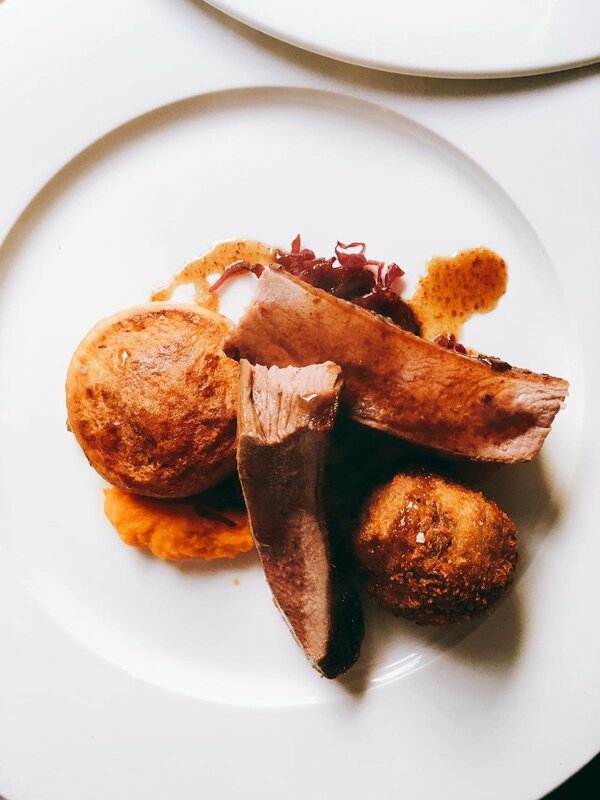 This was followed by duck breast, served with a confit duck bon bon, fondant potatoes, red cabbage and carrot puree. To finish the meal, guests enjoyed an assiette of desserts, with chocolate brownie and cream, a Eaton Mess shot and a mini crème brûlée. If you are interested in holding a get-together or dinner party in your home let us know!